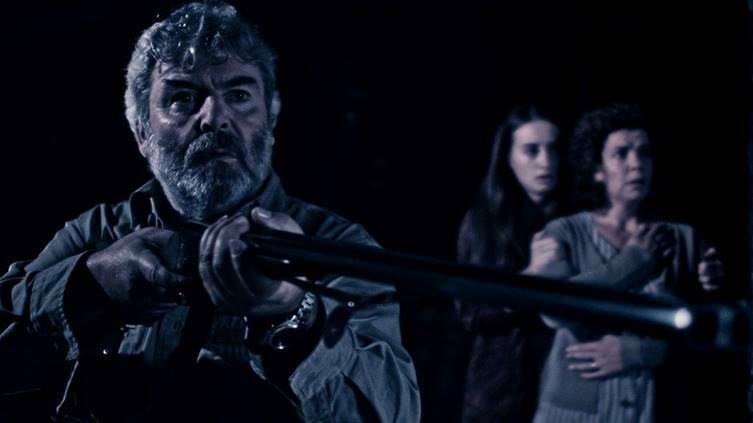 Ahead of the World Premiere of his latest film BLOODLANDS at Horror Channel FrightFest Glasgow, Steven Kastrissios discusses the challenges of making the world’s first Albanian / Australian horror film. So what have you been doing in the eight years since making your amazing debut with THE HORSEMAN, a FrightFest favourite? Writing. I was just 24 when I shot ‘The Horseman’ and it was only my second feature script, so I wanted to expand my horizons and I wrote many scripts in completely different genres and styles. I developed other little projects and came close to doing other features with other people’s scripts but for various reasons they fell through, usually over the script. I also stumbled into music and that bled into my film work too. How did BLOODLANDS come about as the first Australian/Albanian collaboration? Coffee with my Albanian-Australian friend, Dritan Arbana. He told me about the blood-feuds and I instantly saw an idea for a story and also importantly, how to make it a viable production with limited means. Dritan is an actor with no experience or desire to be a film producer, but I trusted him and anointed him as my producing-partner and two or three months after that coffee, we were in Albania prepping the shoot. Why have the Albanians shied away from the genre up to now? Because their own history is so frightening? I’m not Albanian, so I can’t answer this exactly, but from what the crew told me, they had a solid industry decades ago with the USSR influenced propaganda films, but their local industry has had limited opportunities since. They tend to like local comedies more and deal with the issue of blood-feuds as straight dramas, which there has been plenty. There were no stunt-coordinators, armourers, special-effects make-up artists we could find there, so limitations like that would make it difficult for any budding local genre filmmakers. I have a post-production background so I had the advantage of knowing how to design shots where we only had to do certain minimal things on-set, like very simple make-up, and the rest would be completed in post. We could do things safely too, like have real guns but no ammunition on set. Not even dummy cartridges. No explosive squibs too. All this stuff would be done through a subtle use of VFX. When did you come across the legend of the Shtriga? During my initial research. There’s various types of witches in the Albanian and Balkan cultures. There’s even a witch that will maim you if you waste bread, so they have a witch for everything there! And fortunately the Shtriga myth fitted perfectly with the backstory I had in mind for my witch. Directing the movie in a foreign language? Much more difficult surely because you need to understand the performance shadings? This was just another hurdle we had to jump through collectively, but people learn fast and adapt so it wasn’t a big problem and most of the cast/crew spoke English, so I had a team of translators around me at all times for when someone needed help understanding me and vice versa. Whilst I don’t have an ear for Albanian, I did have the advantage of being the writer and the fact that I’d based the main characters on my own family, meant that I knew these characters inside and out. How did you go about tackling the portrayal of Albanian people and their culture, which to outsiders still carries a lot of negative clichés. I was not aware of the clichés so much, coming from Australia. Dritan filled me in on countless tales of Albania, but what we were exploring was at the end of the day, a horror story with fantasy elements. So we weren’t necessarily tied down to absolute reality all the time and the film is lens in a way that embraces the ominous horror elements, wherever we found them. And the story is set in the mountains of a rural village, so we weren’t exploring modern city life with local crime figures, which may be the clichés people speak of. The Albania I saw, mainly when we were location scouting, knocking on doors and seeing into people’s home lives, gave me confidence to know that the story I’d written in Sydney felt authentic to Albania. Anything that didn’t fit we re-wrote with either the actors or with Dritan’s consultation beforehand, who translated the script for me. I’m half Greek and Albania and Greece share a border, so there was that familiarity for me as well. Although the two countries certainly have significant cultural differences, there is still a Mediterranean through-line that is similar. What will Albanian audiences make of it do you think? When will it be released there? Will the film kickstart a genre industry in Albania do you think? Or hope? I have no idea. I made the film for a global audience. The Albanian sensibilities in the arts is unique to itself, so it could go either way. There was certainly a lot of interest in the project when we were there shooting, so I would imagine there would be a natural curiosity about the country’s first horror film. 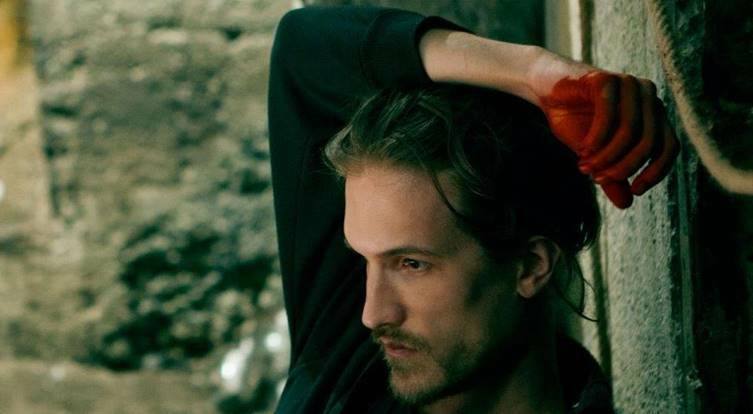 Are the Albanian cast stars in their own right, or did you discover them? They are all stars in my eyes. Gëzim Rudi who plays the father is one the most recognisable actors in Albania. Ilire Vinca who plays the Shtriga was in The Forgiveness of Blood and Suela Bako, playing the mother, has had a lot of experience too and is a filmmaker herself. But it’s the feature debut for most of the cast I believe. Bearing in mind how difficult it is to get indie genre films released, was it a conscious decision to not make the film in the English language? Certainly having non-English language does hurt sales internationally, but what’s the alternative? Having Albanians speak English instead? People have suggested that, but I think that’s a terrible decision long-term that would seriously compromise this project. Albanian is an ancient language rarely heard outside of the region and it’s one of the few that has no root in other languages, so we should preserve it. Global audiences obviously do find foreign cultures of interest so we have that on our side and people so far do seem to be genuinely intrigued in a horror film about an Albanian witch! I’m developing another little project while I make my first serious attempts to go to USA with a script I’ve been developing. In the past I only sent one script out to a handful of people in USA, and I wasn’t even there to do the pitch meetings, as I was based in Sydney and focusing on Australian projects mainly, with no desire to move. But after the fun I had in Albania and the speed of which it came together, I’m all for working internationally. BLOODLANDS is showing at the Glasgow Film Theatre on Sat 25 Feb, 2.20pm as part of Horror Channel FrightFest Glasgow 2017.